• Browser shuts down frequently. • Unable to access the Internet. • Unable to log-in through Wi-Fi connection. • Attack of online malware and spyware. • Difficulty to login while using routers. • Unable to send or receive files via Bluetooth. • Unable to open a particular website. • Hacking of the computer system. 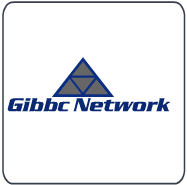 Gibbc Network Skilled Technicians can provide expert Internet and networking support, 24/7. Just call at the toll-free number to avail of Internet and networking support over the phone or through the Internet. They can help you establish a smooth Internet or network connection. • Fix slow Internet connection issue. • Configure the settings of your browser according to your preferences. • Delete cookies and cache. • Reset the Internet password. • Change the default login password of router. • Fix issues with DSL connections. • Configure wireless Internet on your PC. • Securing your PC while accessing the Internet. • Enjoy free Wi-Fi and Bluetooth connectivity.